This multifunction analog watch for men has a round, black dial featuring plain two hands, three subdials, Arabic numerals marking the quarter intervals and slanted markings at the one minute intervals for easy time reading. A crown on the silver-coloured case lets you adjust the time. 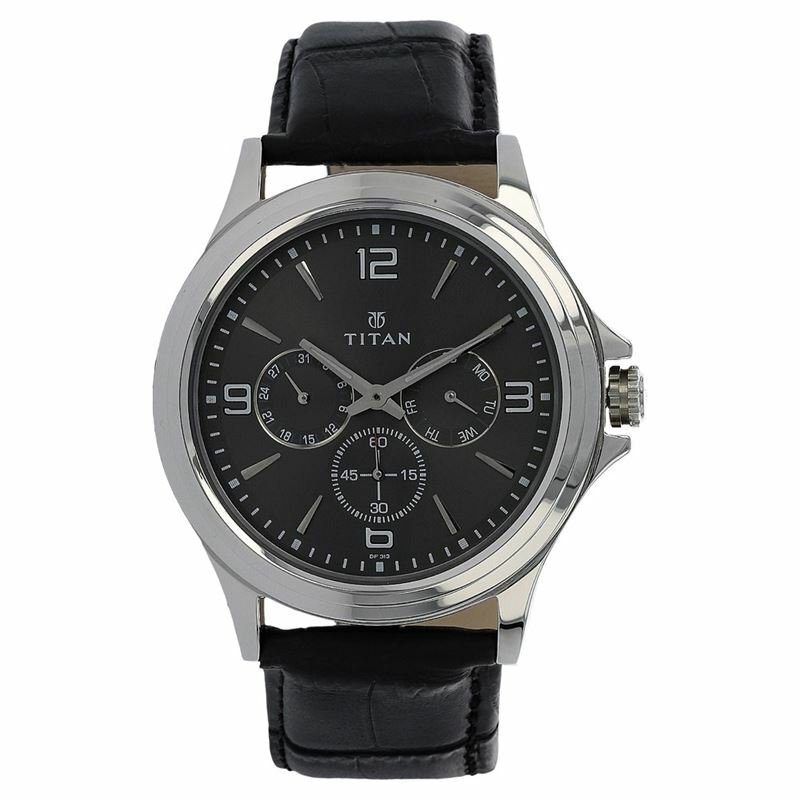 The black, leather strap is fitted with a buckle closure for maximum comfort to the wearer. Equipped with 5 ATM water-resistant depth, the timepiece is user-friendly.